i am an unapologetic first-generation brown femme navigating the discourse between decolonization and spirituality through art and healing practices. daughter of the Bikol, Kapampangan, and Ilokano lineages - i seek to unravel the layers of deceit we inherit through colonization. my art revels in the discovery of un/known intersections between dance theatre, performance art, and performance ritual and through this, my vessel is able to access, inquire, and explore through intercession. beyond this - i simply desire for my community to feel whole while oceans away from our ancestral lands. Join us in Ohlone Territory/San Francisco (Yelamu) to experience a weekend full of learning, the arts, and community bonding! UxI IV will also host the world premiere of H.O.L.Y. CITY! needs your support for our world premiere! We had a successful first run of H.O.L.Y. CITY from March 22-24, 2018 with a Community Day offering of free workshops and interactive installations on March 25, 2018 at ACT Costume Shop Theater. 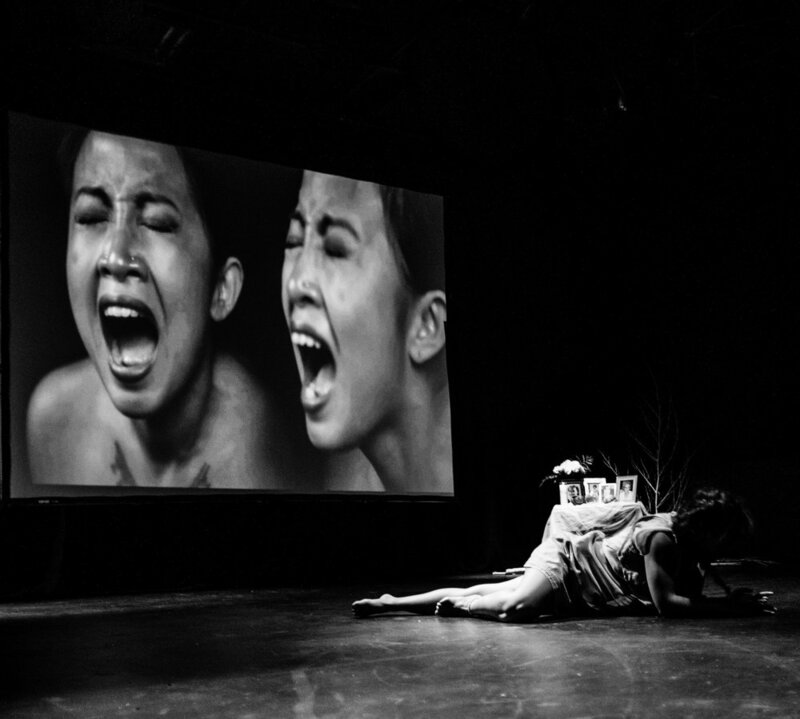 This was made possible through my ArtShare Partner Residency and with support from APICC, SFAC, Grants for the Arts, SOMArts Cultural Center, Bayanihan Community Center, and Dancers' Group's CA$H Grant Program. We are gearing up for our world premiere on June 16-17, 2018 as the featured presentation of URBAN x INDIGENOUS IV: Unite the Tribes at SOMArts - which is the featured program for the 21st Annual United States of Asian America Festival: Regenerative Community! We need YOUR support to raise funds to pay our collaborating artists, production designers, and offset costs for our beautiful venue (rental)! Please spread the word to your folks who believe art rooted in social justice and spiritual practice deserves to be SUSTAINED. VESSEL is an interactive workshop rooted in storytelling through movement, writing, and performance. Through activating our bodies as receivers of ancestral memory, how can we serve our own healing journeys for transformation of self/lineage/community? Together, we will instigate the smells, sights, sounds, and somatic sensations residing in our respective vessels and re-discover how our DNA and lived experiences assist us in remembering and recognizing our intergenerational truths - which further our envisioning for the world we dream for the future generations. Facilitated by SAMMAY, this workshop aims to create an inclusive and holistic experience for all participants and will be a process of collaboration and co-creation throughout. Please click the CONTACT tab to inquire for more information and/or how to book SAMMAY for your next community workshop/healing space! UxI is an intergenerational multidisciplinary arts festival that seeks to explore our collective identity and respective ancestral lineages through an intersectional and intercultural framework. 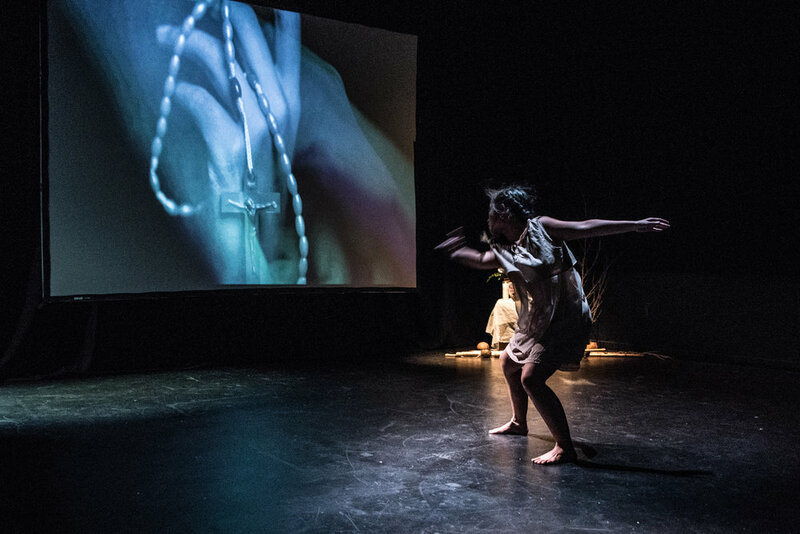 silbihan is a multimedia performance ritual that investigates the (dis)connections between mothers and daughters of the diaspora through the lens of religion versus spirituality – centered on the daughters’ discovery of the babaylan. Malice in Tenderland is a site-specific piece envisioned and performed by SAMMAY embedded within This Is What I Want Festival: DESIRE. Malice sets off to find the funeral for patriarchy and finds herself in some unexpected situations along the way. Under the direction of Kim Epifano/Epiphany Dance Theatre, Last Blue Couch in the Sky took audience members on a 3-hour journey from Tutubi Plaza to YBCA Forum and spoke to the ever-changing tides of the city and specifically, South of Market.